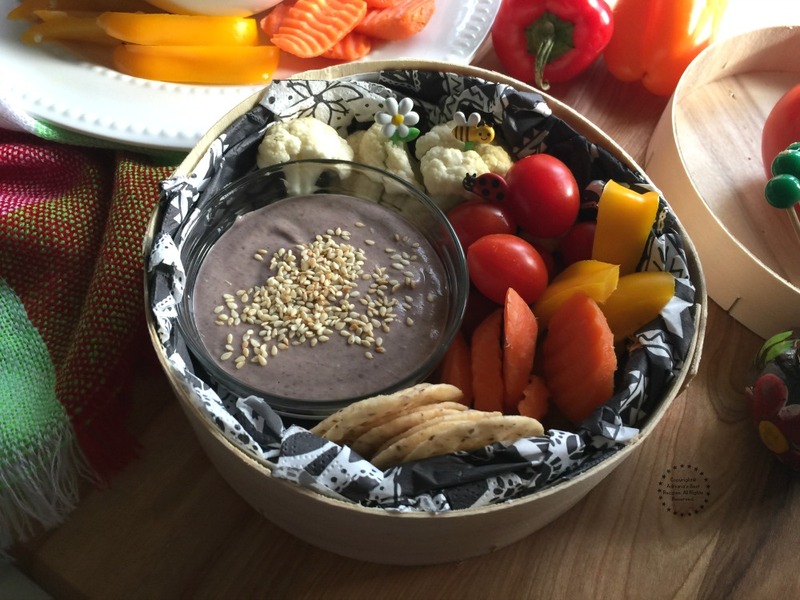 The Black Bean Hummus recipe is being done in collaboration with Produce For Kids. All opinions are mine. 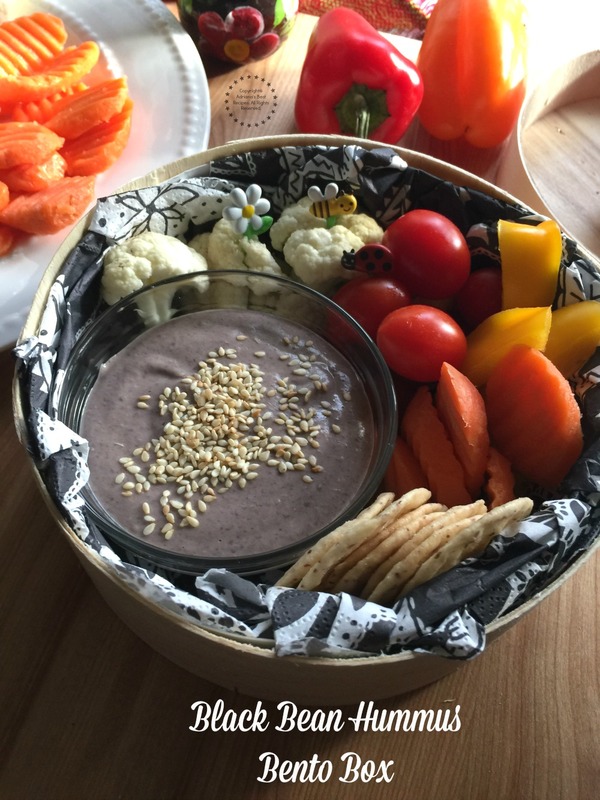 The Black Bean Hummus is an easy appetizer that you can make in few minutes and enjoy with the family. And if you have leftovers why not bringing some to work on a repurposed cheese box that will serve as a cute bento box that everyone will talk about. Hummus is a traditional dip that is very popular in the mediterranean cuisine and nowadays has become a staple in many homes. You can buy hummus in the supermarket but we are recommending to prepare it at home using easy to find ingredients and seasonal veggies. The black bean hummus is made with black beans, tahini paste, garlic, cumin, olive oil and lemon juice. It is ready in just few minutes. In the blender add the low sodium black beans, the tahini paste, the garlic cloves, the cumin, the olive oil and the lemon juice. Blend all ingredients together until getting a smooth sauce or dip consistency. Pair the hummus with fresh seasonal veggies and crackers. Inspired on the flavors of the Lebanese cuisine we’ve created a black bean hummus. Instead of using chickpeas on te recipe, black beans are added as well as garlic. 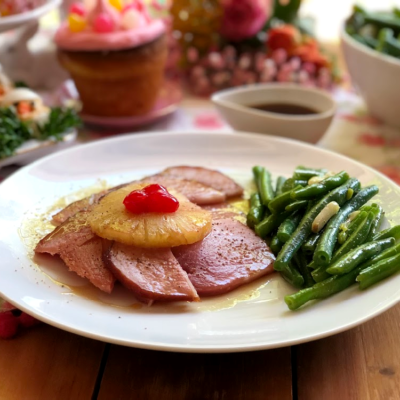 Watch the video below for details on the recipe method. 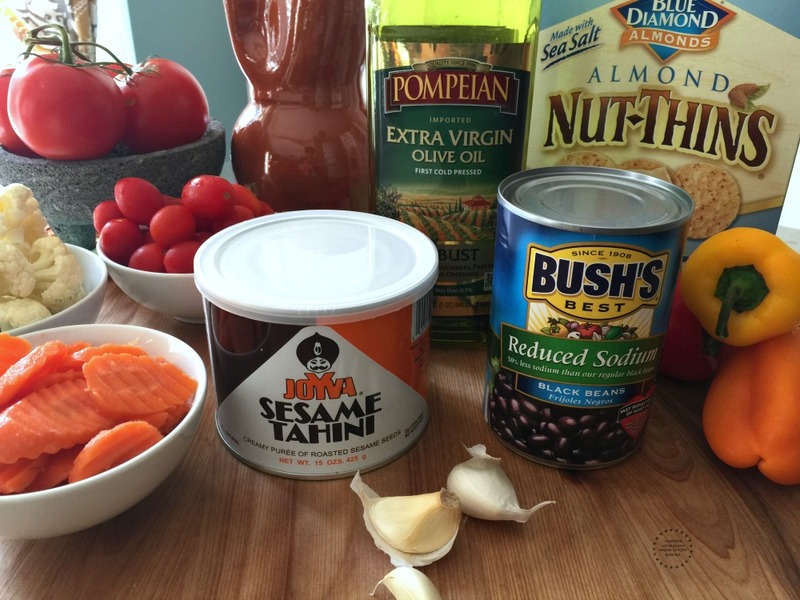 The black bean hummus is easy to make and is in few minutes. 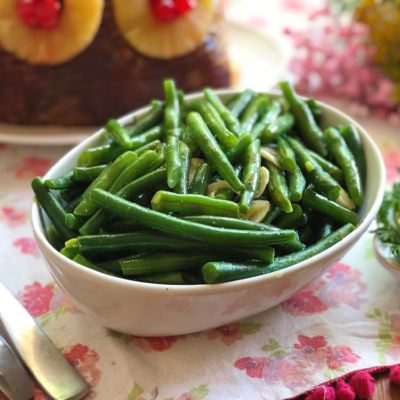 Beans are a good ingredient to use, they are high in fiber and include protein. Then paired with veggies and almond crackers result in a wholesome snack that can be enjoyed anytime and even bring to work or to school. In our cuisine there is no waste and we like to repurpose and recycle as much as possible. 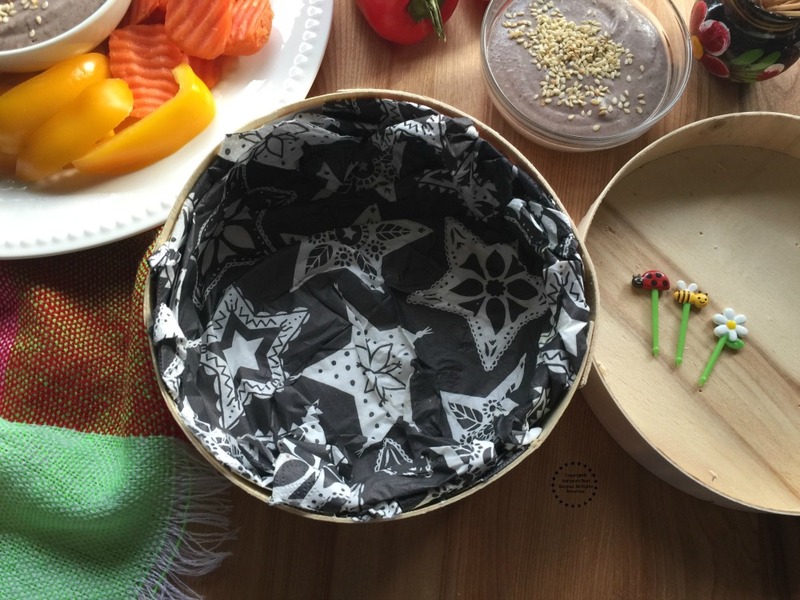 During Christmas time we received a cheese that came in a beautiful wooden box and decided to keep for using as a bento box. 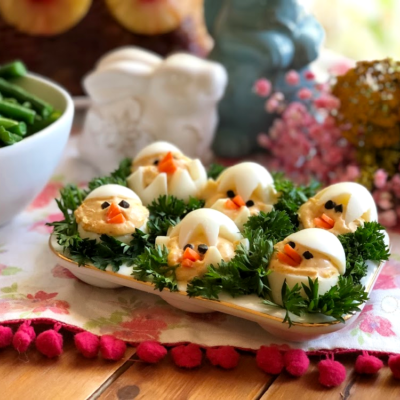 Sometimes we do not realize but at home we can find many items that can be recycled to create cool lunch boxes for the kids or the grown ups to use. 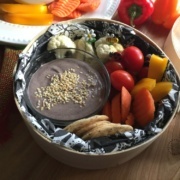 And since Produce for Kids is inviting us to take the pledge to power our lunch we think this black bean hummus recipe is a great idea to include in the lunchbox we prepare for our family members. 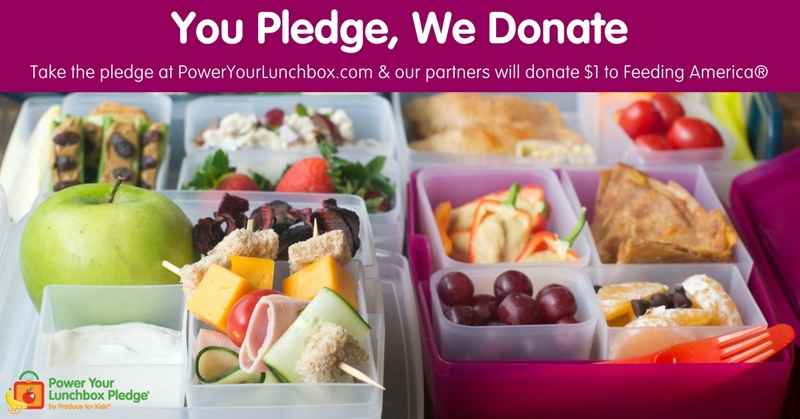 You can take the pledge HERE and help giving back to the community. Some of the companies supporting this effort are Avocados from Mexico, Bee Sweet Citrus, Crispy Fruit Freeze-Dried Fruit Snacks from Crispy Green®, Eat Smart® Fresh Cut Vegetables, Earthbound Farm® Baby Kale, Marie’s® Dressings, Natalie’s Orchid Island Juice, Pero Family Farms® Mini Sweet Peppers and Snipped Green Beans, and Wish Farms Strawberries with additional support provided by Bentology™. My sister-in-law loves hummus. I have a feeling that that bento box would delight her. I have not had hummus yet. 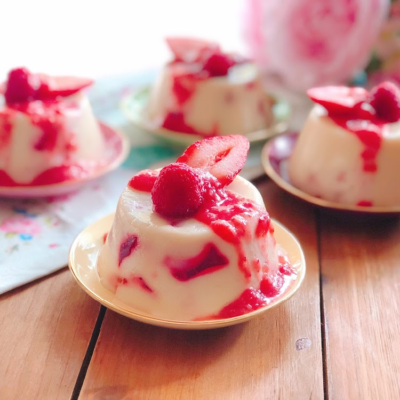 But this looks delicious and a great snack to bring for brunch at the office or housewarming. 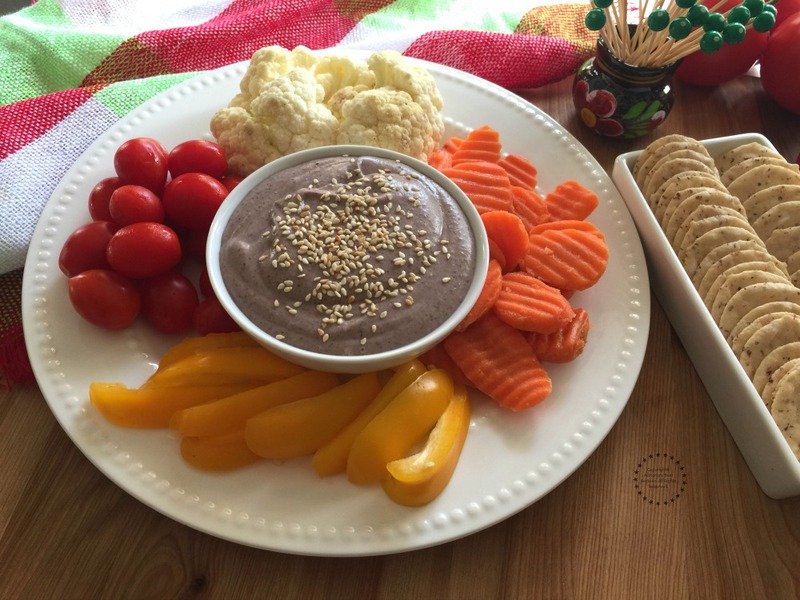 Black bean hummus is one of my favorite things to snack on. I serioulsy eat 2 containers a week! I’ve eaten black bean hummus at restaurants before, but have never attempted to make it. Now that I see that it’s actually not too difficult to throw together, I may actually try this out! My husband loves to make hummus. He has made hummus from black bean and it does taste good. I love how you arranged all the veggies around it. Omg can we say yum?!?! Hummus is one of my favorite snacks!!!! 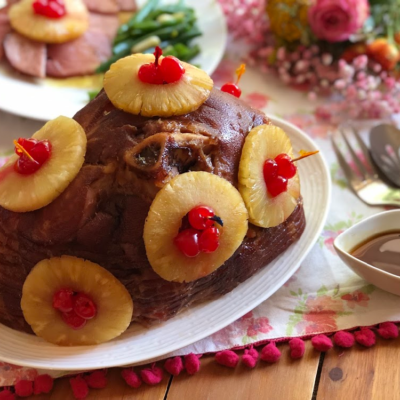 Must give your recipe a try! I have not tried black hummus before but this recipe sounds interesting. I’d give it a try tonight. Love the healthy options I’ve been seeing lately. Wow Black Bean Hummus sounds amazing! I love all types of hummus especially with vegetables. This looks wonderful. I’ve never had black bean hummus but this looks super easy to make. I’ll have to give it a shot. I love everything about hummus and am usually very little surprised with types of hummus. But this black bean hummus has really gotten my attention. It’s the addition of the cumin – genius! We love hummus and what a great way to get kids to eat things that are good for them. I’ve never thought of making hummus with black beans. What a great idea. Thank you. Wow! We love hummus, but I’ve never had it with black beans before. I have to make this for the kids. They’ll flip for it. Wow, that has got to be the smoothest hummus I have ever seen. 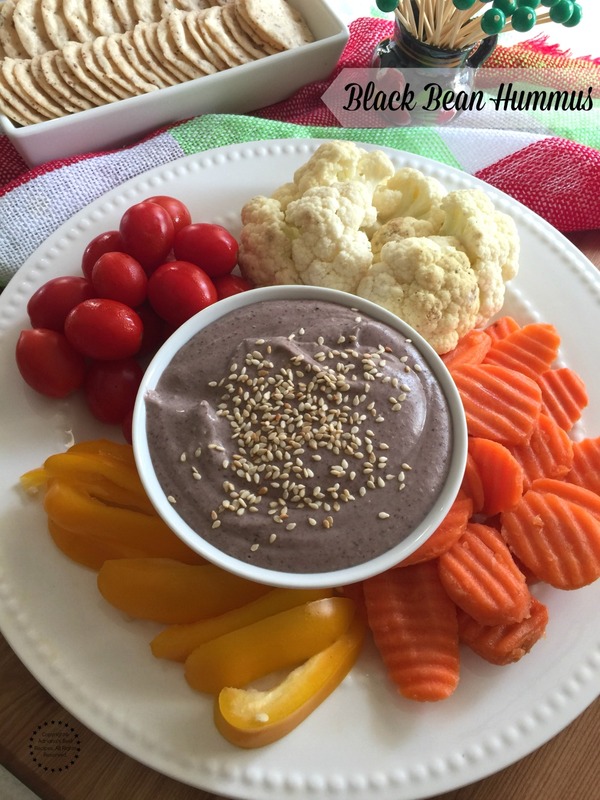 I’m a huge fan of hummus and I lve whipping up variations such as this black bean one. With minimal ingredients, it’s easy to whip up a whole batch to get you through the whole week. If it lasts that long. Can’t wait to try this! I’m a big fan of hummus. One of my favorite snacks. I’ve bought black bean hummus but never tried making it. Need to try this! I love making hummus, usually with chickpeas. I also enjoy black beans so I am going to have to try this. I love your re-purposed cheese box. It looks very inviting. I love hummus! I keep seeing a black bean version, and it sounds DELICIOUS! What a great idea! I absolutely love all kinds of hummus and that bento box is so adorable! Oh wow so you just switch the chickpeas for black beans! This sounds like a really nice alternative to traditional humus! Oh how cool is this? So you just switch out the chickpeas for the black beans! Nice alternative to traditional humus! I love this idea for packing a lunch! I’ve had black bean hummus in a restaurant, but I never knew how to make it myself. Thanks for sharing your recipe and bento box idea! We love hummus!! This looks scrumptious, makes a yumm combo with whole lot of food!!! My brother and his wife love hummus. This bento box is something they’d both enjoy. OMG, this looks so cute! 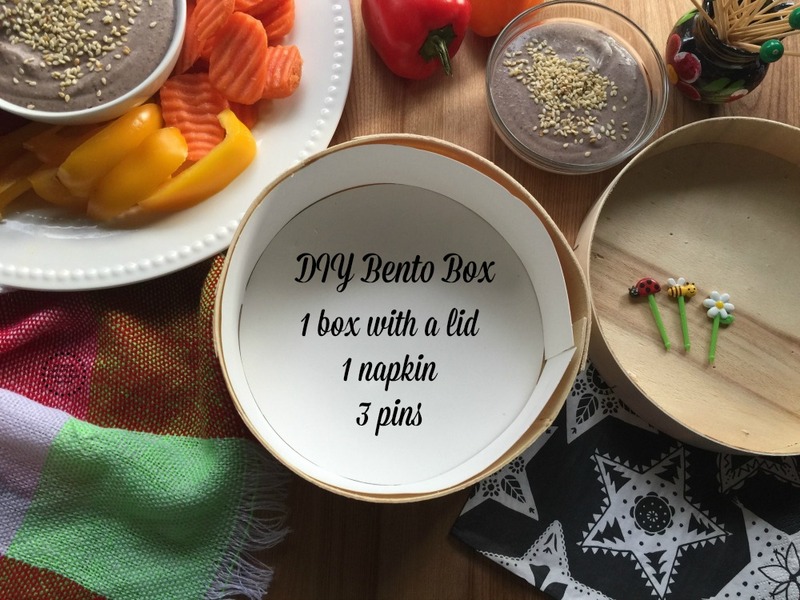 I love your black bean hummus, I wish I could grab some right out of the screen 🙂 I’m so loving the idea of this bento-box, might make one for my friend’s kids. We are on such a huge tahini kick right now – we usually do our hummus 3/4 chickpeas and 1/4 tahini. 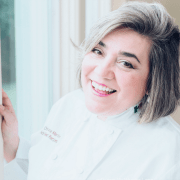 I love the idea of using black beans instead of chickpeas to switch it up! Black beans are my favorite kind of beans, but have never made hummus with it. Sounds like a great choice to go along with vegetables. I would also love it with bread.